Henry Luessen had a few surprises up his sleeve. 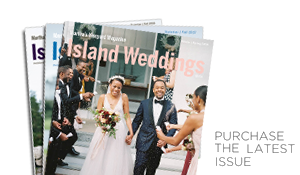 His girlfriend Hannah Schriescheim’s birthday was coming up and he wanted to treat her to a weekend on the Vineyard, where she has vacationed every summer since she was born. At the end of April they made the trip. Saturday was spent at Island Alpaca, one of Hannah’s favorite destinations. On Sunday the couple enjoyed a beach picnic in Oak Bluffs. Just as it started to rain during the picnic, Henry walked Hannah down to the water, got down on one knee, and proposed. One major surprise down, he revealed two others: photographer Randi Baird had been hiding nearby to capture the moment, and alpacas Atticus and Leonardo from the Oak Bluffs farm were on their way. 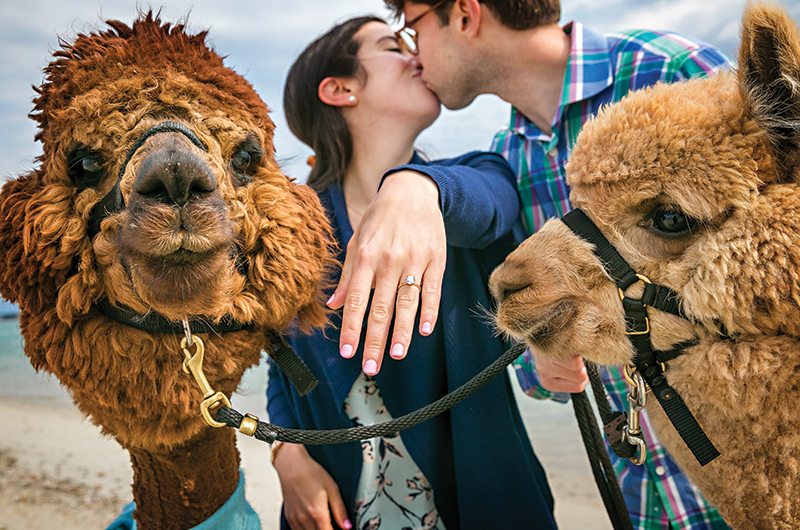 The furry friends stuck around for a leisurely beach stroll and a series of adorable engagement photos. Henry and Hannah are planning a fall 2019 wedding.